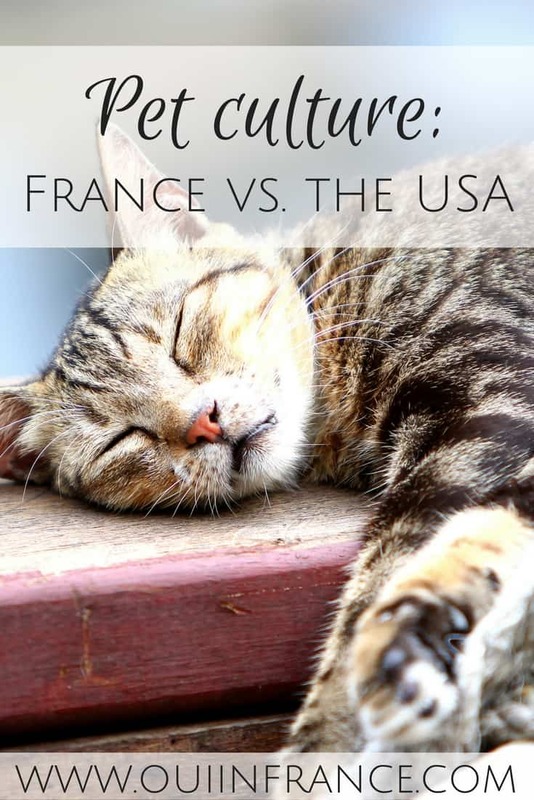 Although France is the only country I’ve lived in aside from the U.S. and it’s not THAT different as a whole, an element of culture shock did play into my acclimation period here. Luckily, I had Tom as my lifeline to help navigate the ins and outs of French culture and I adjusted just fine. I think? These things aren’t really that shocking — even less so now that I’ve been here for a while — but for a newbie, these cultural norms in France might make you laugh, cry, throw your hands up in exasperation or leave you scratching your head. 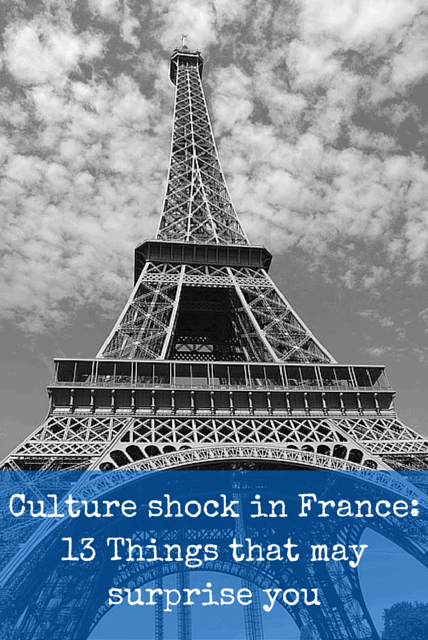 Let’s talk about culture shock in France! I could probably write a list of about 50 things all about culture shock in France, but here’s the short list (maybe a Part 2 coming soon?). 1. The French actually pay for things with checks. No, it’s not 1995! It’s modern-day France and your eyes are not deceiving you. That IS a checkbook and check you see that lady whipping out in front of you at the grocery store. And yes, I’m talking about paper checks — those things that come in a checkbook that you sign and rip out to pay for stuff. I see it at the grocery store all the time. Or at the doctor. Or pharmacy. Totally normal method of payment and quite common in 2015. 2. French pharmacy culture is insane. The French love their pharmacies and so do I. The flashing green signs light up just about every town center with even the smallest towns having a pharmacy or two to call their own. The shocking part isn’t the prevalence of pharmacies — it’s when you have to describe every last disgusting detail of what ails you in order to get your meds (no discreetly grabbing your diarrhea medicine and paying at the self checkout). In France, the pharmacist is there to do much more than just get you your medicine — they counsel, advise and listen to your ailments almost like a doctor would. And let’s not forget a French person’s medicine cabinet. It’s packed to the brim with all kinds of little boxes and pills from ailments long gone (you don’t get the exact # of pills you need in France, you get the whole box!). From beauty products to hygiene to over-the-counter meds and prescription drugs, the pharmacy is there for you, so use it. Well later than my American dinnertime anyway. My stomach still growls around 6 p.m. and for years I’d eat dinner between 6 and 7 each evening back in the U.S. It made sense since I was getting up at 5 a.m. and by 6 p.m., I was hungry. Living in NYC, though, dinner was often later depending on what I had on on my plate for the day and what time I finished work, but in general, Americans are perfectly cool with sitting down to eat at 6 p.m. Now of course not all Americans eat this early and not all the time. But in the winter, a family with kids who might have activities outside the home later on will sit down to eat at 6 p.m. In France? 7:30 p.m. at the earliest. Most restaurants in France aren’t even open for dinner before 7 p.m., so plan accordingly. Oh, and if you have a dinner party, don’t invite French people and tell them dinner is at 6. They will look at you like you’re nuts (trust me). 4. People will faire la bise to say hi, or give you cheek kisses. When it comes to culture shock in France, this is one of the big ones. Bisous for everyone! Let me say this upfront — NEVER hug a French person to say hi. They don’t hug, they’ll just lean in and give you a cheek tap on either side to greet you, say hi and bye. Normal. Get it. 5. The French are always on vacation. Or so it seems. When the law requires five weeks of vacation for employees (plus more if you work 39 hours/week), taking 2-3 weeks off all at once during the summer is normal. Use it or lose it, right? The healthy French vacation culture is a happy culture shock moment — when the work/life balance is actually healthy for most people. The U.S. could learn a few things. 6. French politeness might catch you off guard. Right away you’ll notice that the French are polite. This was one of the biggest culture shock examples in France for me, having come from rude New York. There’s always a merci or s’il vous plait tacked on to any interaction at a store and people are addressed as madame or monsieur. It’s cute. Though it can seem superficial at times, I like it. Shopkeepers, cashiers and even random people on the street will say hi/bye/have a nice day. 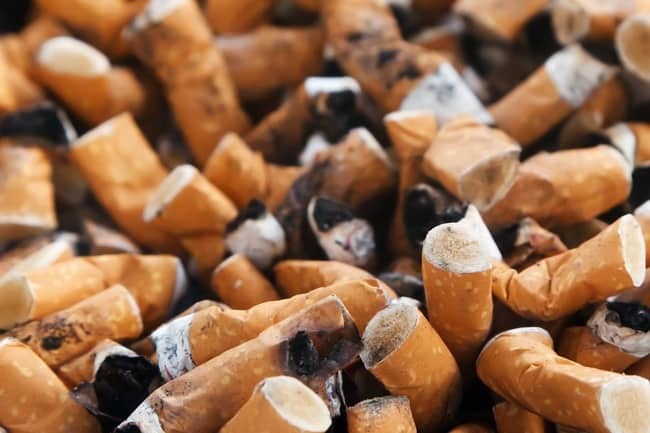 The politeness habit in France is one you’ll quickly catch on to and you’ll find yourself wishing the cashier at Target a good day on your next trip back to the U.S.
OK, not everyone smokes. That was a slight exaggeration but it may surprise you to see that more people smoke here (especially teenagers) than what you are used to from back home. Or maybe not. Guess it depends on who you hang out with. When I see a parent smoking in a car with a kid (or in front of a kid), I cringe and feel bad for the kid who didn’t choose his air quality, but the French don’t seem to care. The smoking in in France culture shock is one that still surprises me today. It’s a personal one for me because Tom smokes and I HATE IT. He only smokes outside, but still, it’s a nasty habit and a hard one to kick. 8. Stores have different hours than what you’re used to. I’ve talked about this one several times on my blog before. In many smaller French towns, stores will be closed between 12 and 2 for lunch and then close for good for the day sometimes as early as 5 or 6 p.m. Barely anything is open on Sunday (and sometimes Monday as well, just to annoy foreigners like myself. Kidding. Not really.). This goes for all kinds of shops, banks, the post office and more. This isn’t a hard and fast rule — there are exceptions with some places being open later, at lunch time and on Sunday mornings — but in general (and especially outside of big cities), France isn’t known for its round-the-clock business hours. Plan accordingly and adapt. 9. Strikes are a way to get what you want. Strikes in France are pretty common among teachers and those in the transport industry and a recent doctor strike really surprised me. So expect to hear about strikes often. They can be a major pain when traveling if all the pilots or railway workers are on strike. But if strikes work in France, so be it. 10. Baguettes really are a dietary staple. In the past year, I can count on one hand the number of times I’ve bought a baguette. And I think they were all for when we were having guests. Sure, Americans like their bread but the French LOVE bread. It’s not just a stereotype you hear about the French — they really do buy baguettes daily and they taste great! 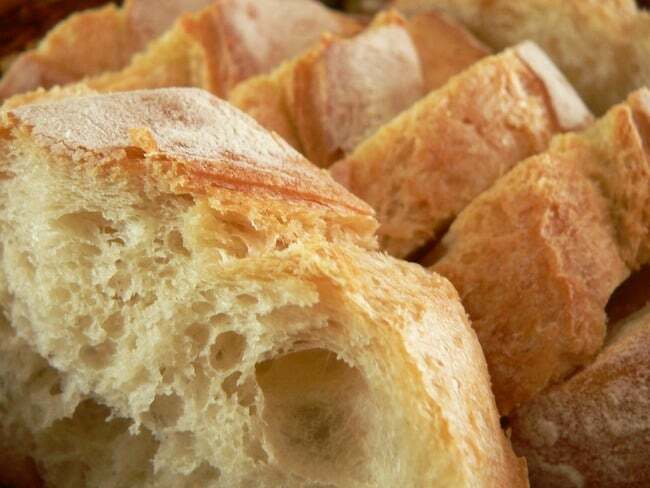 Just like a fork is a mealtime essential, so is a baguette. It’s not an uncommon sight to see people walking down the street with a baguette and newspaper neatly tucked under their arm. A quick stop in the boulangerie is a daily occurrence for the French and it makes me smile. Seemingly simple tasks take weeks to process. Want to open a bank account? Forget walking in and opening the account and getting your debit card on the spot. You have to make an appointment, bring a ton of documents with you, fill out heaps of paperwork and then in a few weeks your debit card will arrive in the mail. 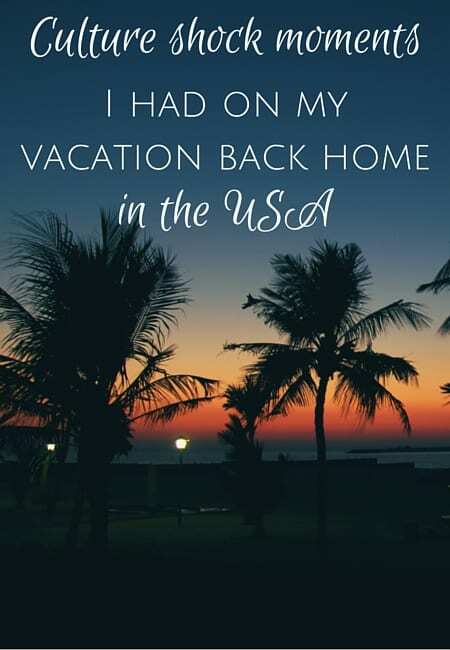 Same goes for renewing your residency card, getting anything done at the post office, calling a store’s customer service and other things I’d take for granted in the U.S.
12. Wine and cheese are cheap. Five euros will get you a bottle of wine and some Brie and you might even have enough left over for a demi-baguette. 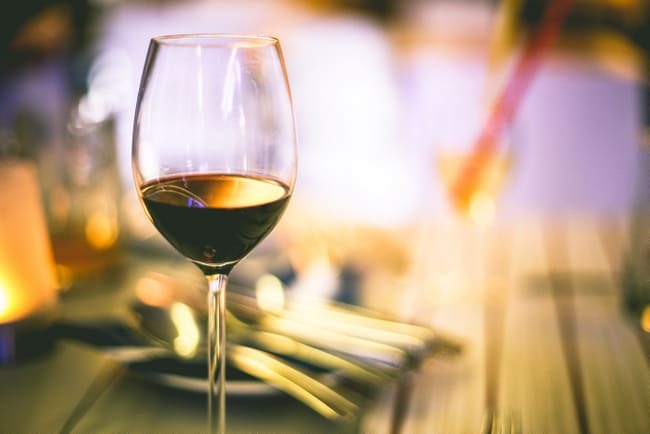 Now you aren’t going to get the best bottle of wine in the world for a few euros, but you can find something that doesn’t taste like toilet water. Back in the U.S., imported cheese and wine have imported prices, so when in France, take advantage of wine and cheese. Duh! 13. Dog poop on the sidewalks is a real problem. Anyone who’s walked down a French street has seen mounds of dog poop just hanging out on the sidewalk without a care in the world. The rumors are true. The French do not pick up after their dogs. OK, that’s a generalization and not wholly true. Some people do care, but not all. Many dogs will just poop and the owners will keep on walking like it’s not their problem. And then you step in it. It’s getting better and I’ve actually seen French people with waste bags and dispensers in parks, but the vast majority of people let their dogs poop wherever without picking up the mess. I’ve 1) Given random strangers spare waste bags 2) Picked up other dogs’ poops 3) Yelled at people to stop being lazy and pick up after their dogs. 4) Vented about it here on the blog. All true. But really, all of these things contribute to France’s charm (except for the dog poop). I think. That’s what I tell myself. 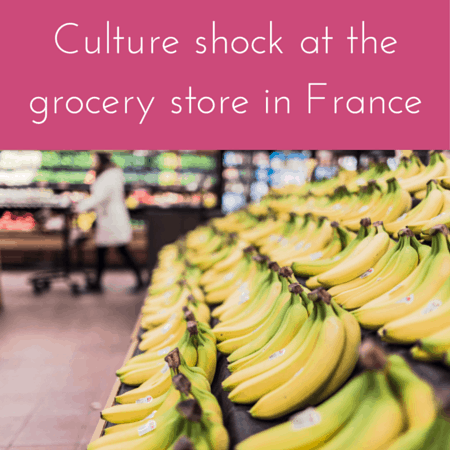 Ever experience culture shock in France? Or somewhere else? Tell me about it! love this list! My favourite is the baguettes and I was in love with the cheese prices. French culture is the best! So true! I was reading and nodding to each point! I still can’t get over the fact that they have those special machines to scan checks in most shops. And that young adults and middle-aged people also do that! I didn’t notice a dog poop problem in my city though. They have those free dog bags boxes pretty much everywhere and people use them indeed. I will have to keep an eye out for the check scanning machines. I’ve never paid with a check so don’t have any firsthand knowledge. Not sure I’ve even seen one. What do they do exactly? And awesome that your town has doggy waste bags for free! The parks by me haven’t caught on yet! Great list! I actually thought that people in France smoke less than I expected. Although I came from Nevada with a high population of smokers. Yes, paying by check would get you into a fight w/people behind you in NYC but in France everyone just waits like it’s totally normal. #3. Dinner is not late in France, it is at the right time Diane! 🙂 One time, an American friend invited us at his home for 4:30pm. I though we would have a “goûter”, you know, cake or something sweet. In fact, upon arrival, they put the burgers on the BBQ right away! #5. French vacation: so true. Everywhere I go in the world, there is always French people. They have time to travel! #6. I don’t know about French politeness. Maybe it’s because I used to live near Paris and now I live in a Southern state of the US (Texas), but I find people over here much more polite. #8. Stores time, you’re right, I’m so used to go shopping whenever I want over here in th US now. #9. French strikes, sometimes it feels like it is a seasonal thing, every year around the same dates. #11. Slowliness and “paperasse” in France, tell me about it! #13. Yep, dog poop in France, so ridiculous. Hi there, just a quick comment on #3. I think in the US, mealtimes aren’t so strict when it’s a casual Saturday/Sunday get-together. Like an outdoor BBQ in the summer when the weather is nice doesn’t always have a strict lunch time or anything. So eating a late lunch/early dinner at 4:30 seems normal. Maybe you’ll grab something later on if you’re hungry again. It’s more about the social aspect and hanging out and not so much a meal between friends. But I can see how it might be confusing — like all the appetizers on Christmas confused Tom. It was like a little meal before the meal! tellement d’accord avec vous sur la paperasse … Tout est trop long !!! 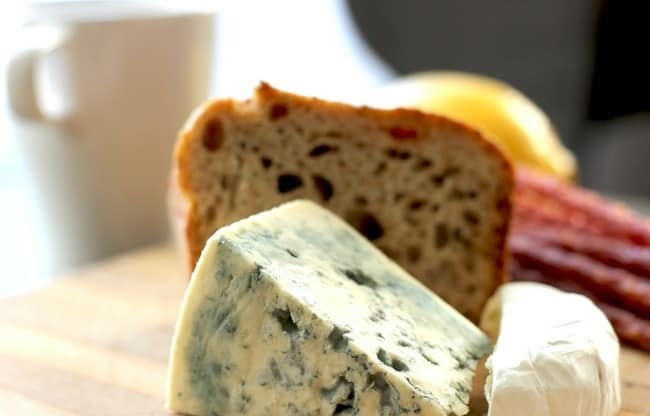 Le fromage , le vin et le pain trois choses sacrées !!! N’aie pas peur de tes fautes ! J’en fais plein. 😉 J’ai écrit un article sur la politesse française (https://www.ouiinfrance.com/2013/05/06/a-lesson-on-french-politeness) avec un peu plus d’explications. En France, la politesse (même si ‘c’est superficiel) est necessaire dans beaucoup de situations (magasins, resto, pharmacie, etc.) et avec tout le monde. Parfois je ris parce que c’est trop ! Aux États-Unis, dans une grande ville comme New York, tu aurais de la chance si un caissier dit bonjour quand tu arrives. Ce n’est pas a dire qu’en France que tout le monde est poli et gentil parce qu’il y a des gens cons partout mais à première vue, la politesse en France est 10 fois plus forte qu’aux États-Unis. Bonne journée et merci pour ton commentaire ! I totally agree with Leloo! You’re the first person i hear saying that Fench are polite! i always hear the opposite! And I don’t totally disagree. And now that I leave in Belgium I ca see the difference! Hi Diane! During my little time in France, I did notice the late-dinner thing, which is fine for me. It was like that in Italy as well, where I studied abroad in college. As far as checks? That’s pretty funny. I’d still use checks if it wasn’t so slow. I don’t mind writing them out, but I don’t want the looks from those behind me in line. And cheap wine and cheese is always a good thing in my book! Fun post! I hope to make it back to France one day with my hubby, since I was a college kid when I last visited. Yup, so many countries in Europe have “late” dinners and I can only adapt so much. Dinner for me isn’t after 7:30 pm, 8 latest (unless I’m out and get home late). I go to bed early so it’s just too close to bedtime. Yeah, I’m like an old person and have been my whole life lol. Def come visit France again if you ever get the chance!! I saw someone riding around in a little sidewalk vehicle in Paris vaccuuming up dog poop! I have a photo of one somewhere. And, Oh Mon Dieu! I’m an American who had to go to a pharmacy for condoms! The pharmacist opened a drawer for me to choose from neat rows of different boxes/types. How embarrassing! Yup, I wrote a post about these pooper scooper jobs. Like big vacuum trucks. Haven’t seen one recently though. Tellement d’accord… I like so much your list. It is so true. Thanks so much, Jo — happy to have you here! 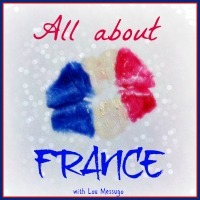 Are you French living in France? Bon week-end ! I like everything about French culture apart from the dog poop! Have to agree with you there! But I must say that parks are getting better and better about offering free waste bags and people are catching on! Parks!? But it is “interdit aux chiens” in the parks. I wish they had dog parks in Paris. Dogs would be better socialised and maybe it might reduce the street poopers. There are certain parks that do not allow dogs but many do. I love when they have the waste bag dispensers. I don’t know about dog parks in Paris but out where I live I can’t say I’ve ever seen one. Thank you! Just saw a lady paying by check this morning at the grocery store and I groaned. Then giggled. Oh wow, I’m so sorry to hear about your awful experience in Paris. I’m glad you’re willing to give it another chance — many people would not. Thx for checking out the post! About the bread, I have to say that Tom doesn’t eat a ton of baguettes. With cheese yes, but not daily. We do love our pain de mie (harry’s complete or whatever it is called, the square stuff). I’m strange I guess! Thank you, yes the pharmacy can be a bit embarrassing. I don’t know what’s worse: being the sick person who is rattling off private symptoms or being the next person in line overhearing this and feeling uncomfortable. In both situations I don’t make eye contact with anyone! Very accurate listing I would have to say ! Have you noticed the street sweeper brooms ? They are plastic versions of what used to be real twigs on a stick… Maybe they actually work better than just a regular broom, but it seems a backward kind of modern upgrade. I think he means the design of the brooms that the street sweepers use. You know when they turn on the taps, run water down the gutters and then use the bright green plastic broom to sweep the cigarette butts into the drains. The bright green plastic broom actually has spikes coming out of each “straw”. Like the spiky bits you get on those sink drain clearing tools. Hi! I’m french and I live in France and the thing I find weird with americans is that they are ALWAYS happy and enthousiastic. Hi Nathan, I don’t think you’ve met enough Americans if you think we’re always happy and enthusiastic! I think certain people tend to put on a front consisting of a happy face and cheery attitude even when things aren’t going well, but Americans, like all people, have bad days and are negative and just blah sometimes. I think in general Americans tend to put on a superficial enthusiasm (and some of us are naturally always positive and enthusiastic, like some French people are, just the personality type) but many of us don’t and don’t try to be anything we’re not. It really just depends on the person in my point of view. I WISH all Americans were always happy!! Lovely list indeed. 9. Strikes are a way to get what you want. This has always worked for the French. No wonder they over-use it. I love the first one! Since I live in the US, I have rediscovered the check book, and I use it exhaustively, just for the pleasure to put a check in an envelope! How inconvenient, right? That’s another reason why we would use checks : sending cash by mail is forbidden by law in France. But now in Paris most shops refuse checks because many were stolen or bounced. 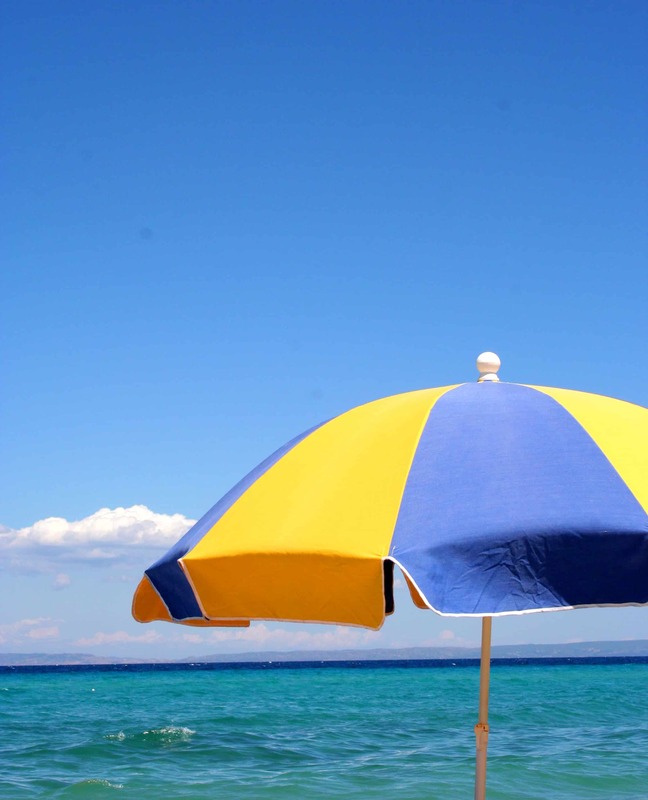 5/ Vacations are so French that they date back to several centuries ago. In the Middle Ages as well as in modern times, there were many days of religious celebrations when it was forbidden to work in addition to Sundays. In the 17th century, a third of the year was devoted to religious celebrations. It came to the point that Louis XIV complained to the Chruch that people couldn’t work anymore and that it damaged the country’s economy. The bakers were a world exception though : French bakers were the only Catholic ones that were allowed to work every day (surprising, isn’t it ? 😀 ). #13 Picking up after one’s dog is actually a trend that arrived from England or America a few years ago. That’s not ‘laziness’, people just don’t do it. Hi Laure-Line, thank you so much for all you wonderful comments! I really appreciate your perspective and am so happy you’re enjoying the blog! I didn’t know the historical context of French vacations, so thanks for that!